Heini (b. 1975) is a Finnish designer who graduated from the ceramics and glass department of the University of Art and Design Helsinki in 2002. During the same year she received the Honorable mention in Mino, Japan. Heini Riitahuhta expresses her artistry with decorative unique works. The same decoration motives appear in her serial production objects. Her journey in Arabia started as a result of her diploma work, Helmi light. Now Heini Riitahuhta works at the Arabia Art Department. Kentaro (b.1972) is a Japanese journalist specializes in design, interior, craft and Scandinavia. He graduated from Kwansei Gakuin University in 1999. After working for a Japanese interior retailer ACTUS, he studied in Denmark and became a freelance journalist. He has written works such as “Nordic Encyclopedia”, “The Masters of Scandinavian Designs”, “Scandinavian Designs in Daily Life”, “Textbook of mingei” and more. 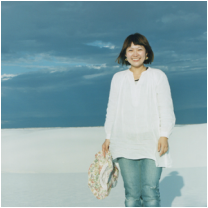 Kyoko-Suzuki is a ceramic artist who graduated the Tama Art University Dying and Weaving department. She produces a store UNPIATTO and the ceramic studio Kicos in Shibuya. Kyoko's ceramics seem like both ancient vessels and modern art pieces. The pieces were created using many layers of colorful glaze in combination with gold, silver and glass. Together they create a feeling of nostalgia and a sense of playfulness. Matti (b.1976) is an illustrator known for his portrayal project, as well as numerous children’s illustrations for Otava, the Children’s Center and Tammi. 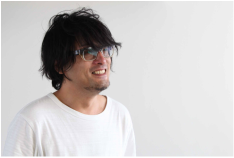 He has worked on pattern design for example Samuji, Lapuan Kankurit and Marimekko. His most recent book project is called Cup of Therapy, which is a collaboration with Psychotherapist Antti Ervasti, published first in Finnish by Otava, and in Japanese as ‘Dai Jo Bu’ by Muji Books, in 2018. 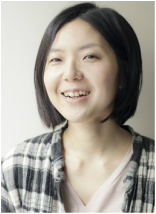 Masaru is a textile designer and an associate professor at Tokyo Zokei University. After graduating from Tama Art University (BA in Dyeing and Weaving Design) and working for Hiroshi Awatsuji Design Studio, he starts his individual work as a textile designer. He established a studio UNPIATTO INC in 2002 and started his own fabric line OTTAIPNU in 2005. In 2010, he became a designer of a Finnish textile brand marimekko. He now works with various designers and brands worldwide, such as Quarter Report Co.,Ltd. for "Moomin Tribute Works"’, the Gate Hotel Kaminarimon, Spanish shoes brand Camper for ‘CAMPER BY MASARU SUZUKI’, UNIQLO for ‘WORLD OMIYAGE 2014SS’ and many more. Miho is a Japanese photographer born in Suzuka, Mie Prefecture. Trained by a photographer Motoyuki Kobayashi, she has worked with a wide range of books, magazines and advertisements. Her works have also been used in numerous CD covers and other products. She believes that the photography collection books usually stays in the bookshelf while the images used in magazines and products get more exposure and give impact on people. She is also a writer and publishes a series called NOTEBOOK, which now is in its sixth edition. Her mentor Kobayashi has contributed to reducing the gap between the photography as an art and those for everyday life products. Miwa (b. 1977) is a creator of surface pattern art, design and illustration who graduated from Musashino Art University (BA Visual Communication Dasign) in 2000, After working at an advertising creative production as an art director and a graphic designer, she became interested in "Eternal storytelling" which is one of her textile design characters. She then moved to Sweden and graduated from Konstfack University College of Arts, Crafts and Design (MFA Textile Design) in 2012. Currently, she is living in Tokyo and working as a freelance designer and illustrator, under her original theme "spiral communication with pattern". Naomi was born in Munich /Germany in 1966, where her English parents had moved to in the same year. From 1987 to 1991, she studied art, psychology and art history at the Ludwig-Maximilians University in Munich. In 1993 she had her first solo exhibition. Apart from exhibitions in German cities such as Berlin, Hamburg, Augsburg, Saarbrucken etc, she also had exhibitions in other foreign cities including Zurich, London and Tokyo. She worked with the walls of cafes & organizations as a street artist and as well as designed posters and postcards. Pekka is an architect MSc / SAFA* and industrial designer MA / TKO**, who works widely on applied art, furniture design and architecture. Pekka has been appointed as an artist professor for ten years starting from 2012 by the Arts Council of Finland. He has designed for companies such as Marimekko and Arabia Finland, Satira, Portugal etc. In 1999, he received the Design Plus Award from the Ambiente Frankfurt Fair. In 2011, Pekka has received Finnish Industrial Designer of the Year 2011 by Finnish Association of Industrial Designers TKO. He has been teaching at the Aalto University, School of Arts, Design and Architecture since 1988, also invited as a visiting lecturer in several European design universities and a leader of design workshops in Europe and other countries. Teemu Järvi is an artist and designer of many awards. He specializes in wilderness themes. Järvi’s art and projects include a wide range of printmaking, book and magazine illustrations as well as product designs. The works derive from the artist’s lifelong love of nature. A ceaseless explorer of Finnish woods and lakes, Järvi is familiar with the wildlife through first-hand experience. He works with traditional tools such as the reed pen, creating works of art that transport us from our hectic urban existence to the soothing calm of primeval wilderness. Yuka is a Japanese industrial designer MA/ TKO** who moved to Finland in 2002. She received her BA in industrial design from Kobe Design University in Japan and subsequently worked as an in-house designer of a Japanese tool industry. In 2006, she achieved a Master of Arts degree from the Aalto University, School of Arts, Design and Architecture in Helsinki. In 2007, she founded a design company HARNI-TAKAHASHI LTD. DESIGN AND ARCHITECTURE together with Pekka Harni. Her works include MOON tableware set, limited editions produced by very appreciated Finnish ceramic factory Arabia Finland. 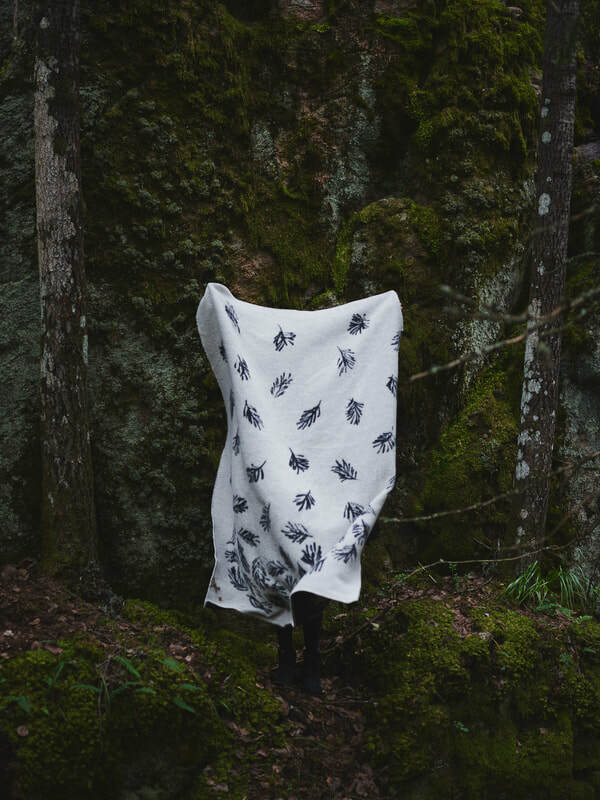 Yuri (b.1989) is a textile designer who studied textile design in Japan and Finland, receiving MA degree in Textile Design from Aalto University and Tama Art University. 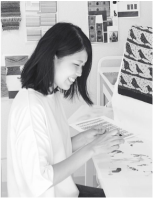 She has been designing textile that brings out surprises, joy and various interactions between textiles and people. Her creative process that originates from the design of her own weaving mechanism allows her to initiate unique concepts with twists such as DIY-textiles that lets users to get involved in arranging the design of their textile by cutting or motion-textiles that change its images by angles or sides. She is also active in designing facards, workshops and providing art works for commercial complexes. Yoshiko (b.1977) is a illustrator who graduated from J.F. Oberlin University and Aoyama-Juku of Illustration. She received the Judge's Special Award by Masaaki Hiromura in HB gallery File Competition and the TIS Excellency Award in its pro division. As a freelancer illustrator, her works are used in novels and children's books. She is best know for the art works for the TV program called "Gogo no Roadshow" for TV Tokyo. Her current work revolves around illustration for book & magazines and holds exhibition related to her daily senses. Started a handkerchif collection in 2012.